There is a wonderful story in today's edition of The Baltimore Sun about hemp researcher Dr. Sergey Grigoryev of the N.I. Vavilov Institute of Plant Industry. Unfortunately I can't get permission to reprint the story or the picture. So, I have an image in the public domain above and the first three paragraphs are below. 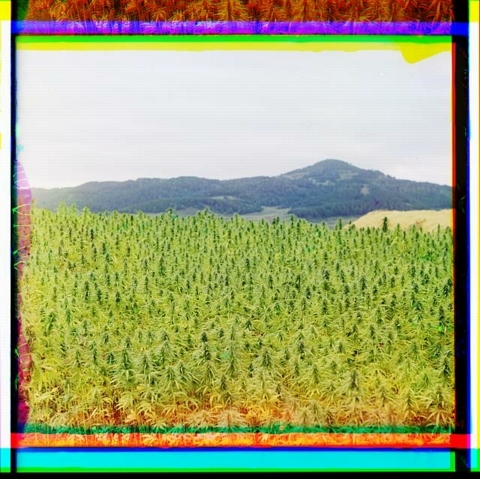 There are a couple of excellent papers on hemp by Dr. Grigoryev on the institute's web site. First is the highly recommended Collection of Hemp Genetic Resources at VIR and the second is Cold - resistance of hemp (Cannabis Sativa) and is a more technical paper. ST. PETERSBURG, Russia - The sign on Sergei Grigoryev's office door says "Narcobaron," or drug baron, over a faint picture of a marijuana leaf. That's his way of weathering the joshing he gets for doing nothing more than showing up for work each day. After all, Grigoryev promotes hemp. The scientist at the Vavilov Institute of Plant Industry in St. Petersburg is quick to draw a distinction between the connotations the word brings to mind - pot, weed, maryjane, hashish, ganja, herb, chronic - and the plant he calls one of the most valuable ever cultivated. On Friday I received an email from Gerry at The Merry Hempsters that pointed out that Vote Hemp got a mention on The Colbert Report. The mention was during an interview of Congresswoman Lynn Woolsey as part of the Colbert Report series Better Know a District, this one on California's 6th. While Stephen Colbert did poke fun at hemp, so easy to do, he did pronounce Vote Hemp very well. This is the television equivalent of spelling an organization's name correctly in print. Too bad Steven did not mention that Lynn Woolsey is a co-sponsor of H.R. 3037, the Industrial Hemp Farming Act of 2005. It has been hot this summer. 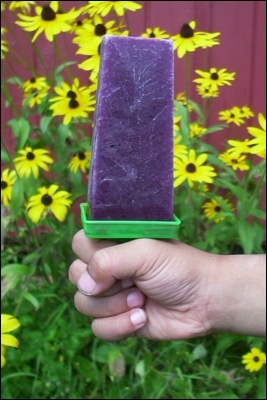 What else is better on a hot day than a home made smoothie pop? Well, if you're four years old it's having a picture of your hand holding a home made smoothie pop on the Internet and getting to eat the prop! Put the shelled hemp seed and the mandarin oranges in the blender and blend on high (with the lid on, of course) until smooth and hemp seed is in very small pieces. Drain the pineapple chunks, reserve the liquid, and put the pineapple chunks, frozen blueberries, and banana in the blender and blend on high. Take the little cup off of the blender lid and with the blender running add the frozen mixed fruit until the texture suits you. You can use the reserved pineapple juice to thin the smoothie if necessary. Notes: The frozen mixed fruit I get has peaches, strawberries, grapes, and honeydew melon in it. If you like your smoothie sweeter you can add a couple of tablespoons of maple syrup. Serves four. This recipe also makes excellent home made smoothie pops, just pour the smoothie in molds and freeze. Kids love them!